So how exactly does Green Star ensure respect? It means a vessel meets two voluntary RINA notations: Clean Sea and Clean Air. Clean Sea covers possible oil-pollution sources like bilge water as well as systems in close proximity to the water that consume oil. It additionally covers other pollution sources such as garbage, sewage, and grey water. Years before it became a worldwide standard, the environmental protection even extended to antifouling paints containing tributyltin, or TBT, which collects in and adversely affects crustaceans, oysters, fish, and other sealife. 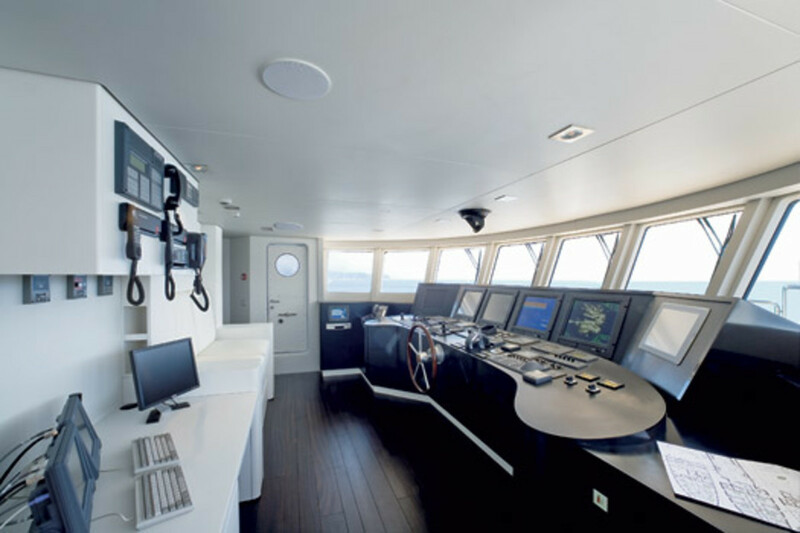 Large display screens at the helm permit the ability to call up various nav and com data without clutter. Depending on the system, Green Star doesn&apos;t just adopt certain strict MARPOL standards and other IMO resolutions, it steps up enforcement (a key point) and in other cases even exceeds those standards. For example, bilge-water separation or filtering systems need to comply with MARPOL 73/78 Annex I, which aims to eliminate dumping and even accidental discharge of oil and other harmful substances into the sea. 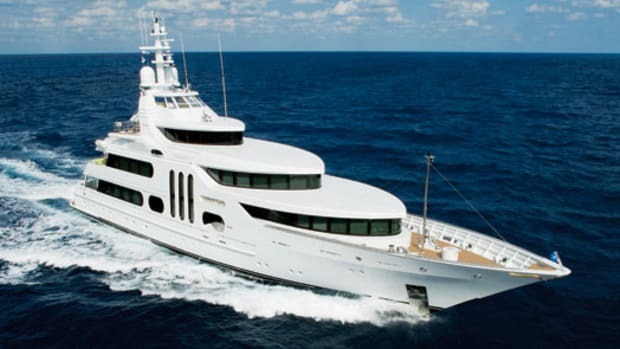 Because overboard discharge is prohibited, vessels must arrange to dispose of oily waste ashore; Green Star inspectors can and do check both the yacht&apos;s systems as well as its records. 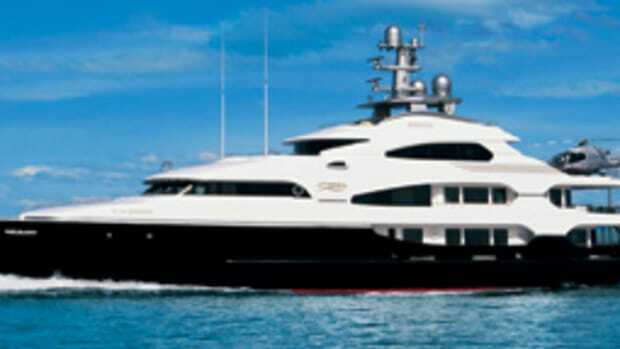 They will sample and analyze the oil content in the bilge effluent, and in the case of the yacht&apos;s records, if the paperwork doesn&apos;t match those of the onshore facility, certification is revoked. And while Green Star specifies permissible engine emissions, it applies the Kyoto Protocol&apos;s stance on greenhouse gases when it comes to air-conditioning systems. In compliance with one of the IMO&apos;s MEPC (Marine Environment Protection Committee) standards, black- and grey-water treatment systems should use ozone, ultraviolet irradiation, or other disinfectant methods instead of chlorine to minimize impact on the environment. In addition, the systems themselves and their waste water can be subjected to periodic testing and analysis, to ensure bacterial and chemical ratios are being maintained. Another important matter addressed is garbage disposal. Green Star adopts some common-sense approaches such as the MARPOL convention that strictly bans dumping any form of plastic into the sea. It also requires the crew to keep track of garbage being created and what happens to it. Specifically, all vessels certified for carrying 15 or more people must have a Garbage Management Plan in writing, describing how the crew will collect, store, and dispose of garbage. And the crew must keep a record book for two years; "the date, time, position of ship, description of the garbage, and the estimated amount incinerated or discharged must be logged and signed." 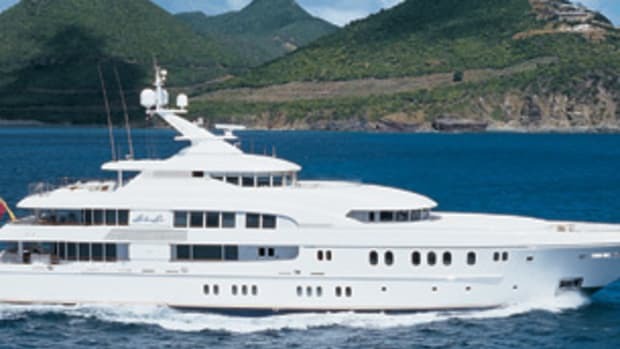 To ensure compliance with the management plan, Trib contains a special refrigerated compartment, something thus far only seen—rarely, at that—on megayachts toward the 200-foot range. Even Trib&apos;s construction took environmental issues into account. If you look at her hull, you&apos;ll see individual steel plates, welds, and rivets instead of a seemingly single-piece, smooth hull side—which shocked some passersby at last year&apos;s Monaco Yacht Show, where she made her debut. But grinding down the welds would produce metal shavings, and covering the welds and rivets would require fairing compound that would have to be ground smooth, also creating waste. In addition, the hull was hand-painted, not mechanically sprayed, using TBT-free bottom paint. Of course, adhering to the Green Star initiatives didn&apos;t mean the interior of Trib had to be cold or lacking in comfort. Befitting a man who made his mark on the fashion industry, it&apos;s a serene escape from the workaday world. Some rooms are larger than you&apos;d expect to see on similar-size craft, while others depart from convention in different ways. The saloon is a good example of the former. Open to the dining area, it&apos;s a wood-soled expanse of distinctive red and yellow-gold furnishings as well as abstract art. 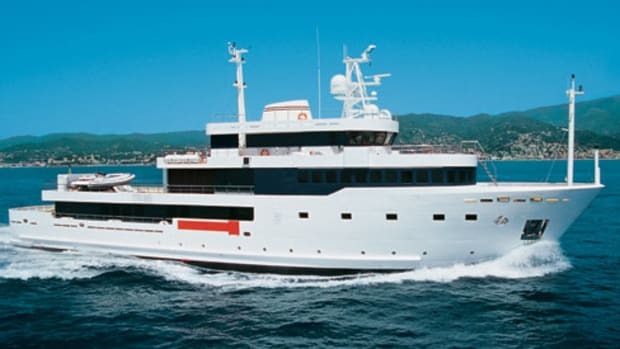 As for the other unconventional arrangements aboard the nearly 166-footer, don&apos;t expect to see the guest staterooms on the lower deck. Instead, they&apos;re all forward on the main deck. So if that&apos;s the case, then where&apos;s Benetton&apos;s master suite? 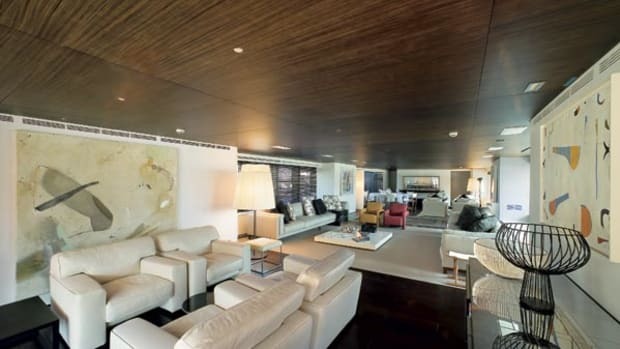 It occupies much of the upper deck, and what a suite it is. 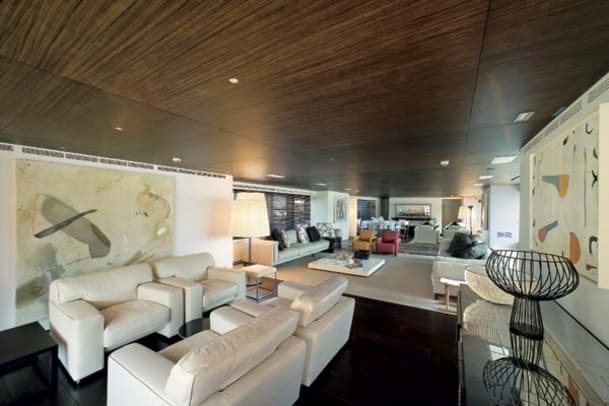 Besides the bedroom, it comprises alfresco dining and sunning areas, a reading/sitting area for his wife, and a private gym with a connecting bath, the latter two together rivaling the space devoted to staterooms aboard many yachts. 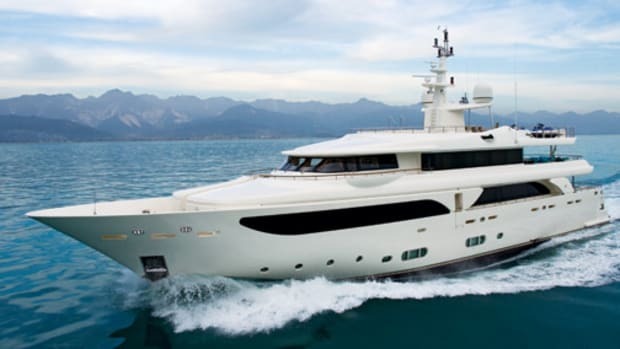 The extent to which Benetton and Mondomarine went to ensure Trib would minimize her impact on the environment may seem extreme for an activity dependent on internal combustion engines and fossil fuels, but they&apos;d heartily disagree. 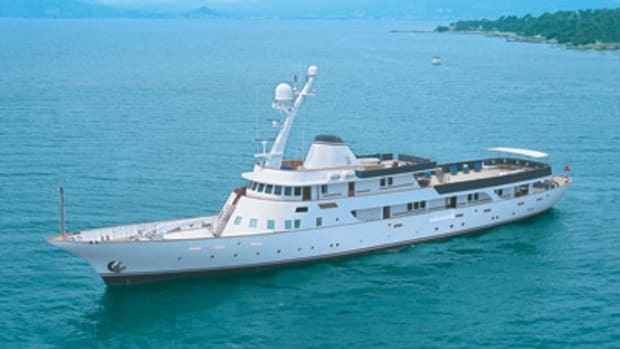 As would some other owners and shipyards: About half a dozen megayachts under construction worldwide should receive Green Star certificates once they&apos;re completed. 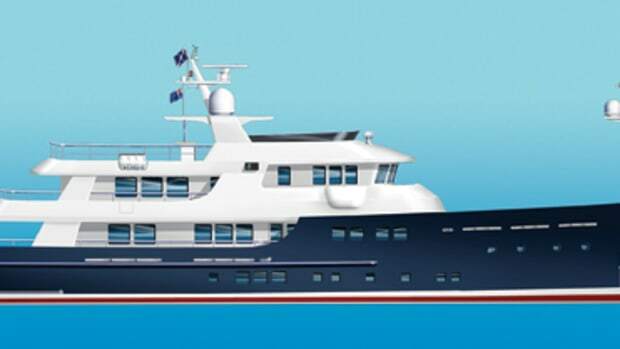 When a custom yacht is supposed to represent an owner&apos;s individual vision, why conform to convention? For more information on Mondomarine, including contact information, click here.